This accommodation cannot yet be booked on SleepOut.com. 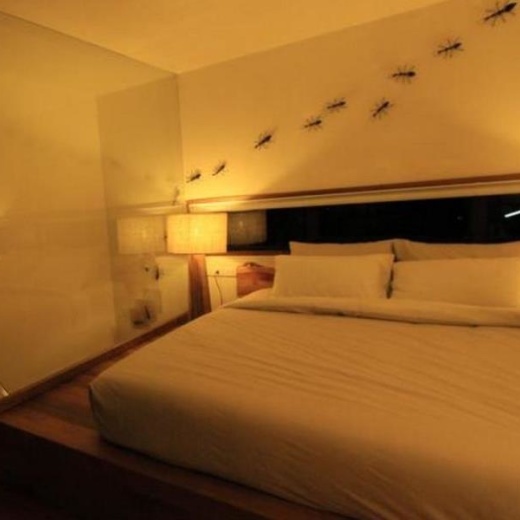 Find more accommodation options in Thailand. 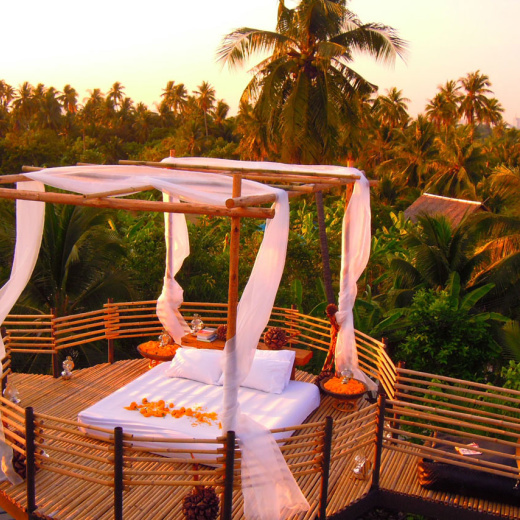 The Bangkok Tree House is one of the few green hotels by the river in Bangkok. As we are in tropical country, we do have mosquitoes but the gentle river breeze helps makes insects less of a problem. We have beautiful outdoor showers in most of our nests, where only birds and other animals can see you. Our nests do have bamboo curtains you can pull down. We have a natural pond free of chlorine and other chemicals. The water will not be as clear as a chlorine pool and you may have to share the pool with plants and other friendly insects. There are no air-conditioners in our public space but instead rely on the natural river breeze. All our nests do have small but efficient air-conditioners so you can sleep in comfort while having minimal impact on the environment. We serve modern Thai and International cuisine, paired with organic produce, sustainable seafood and a broad assortment of wines provide an exceptional dining experience. Our innovative and skillfully executed dishes deliver intelligent compositions with engaging and inspiring flavors while celebrating local, organic, seasonal ingredients.